Aloe vera has long been used in skincare for its many believed properties. aloe vera is thought to soothe sunburned skin, moisturize, reduce redness and more. 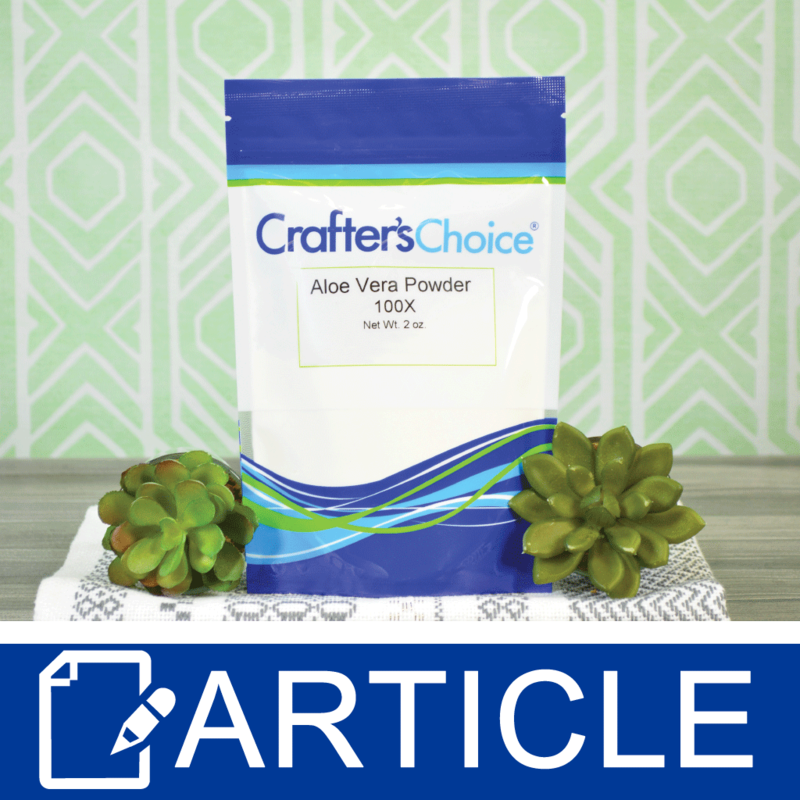 Crafter’s Choice Aloe Vera Powder – 100x is made from completely dehydrated aloe Vera leaf. This powdered form of aloe Vera is very concentrated, easy to work with and cost effective. Aloe Vera powder can be used on many different skin types and in a variety of different products. 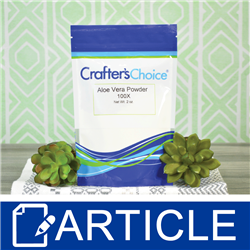 Use Crafter’s Choice Aloe Vera Powder – 100x in anything from face masks and hair conditioners, to body lotion and baby creams.